A low foam general purpose neutral rinse additive for machine ware washing. Available in 5 Litres or 20 Litres. 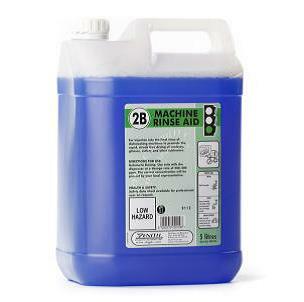 • Specially formulated for use in a wide range of ware washing machines. • Contains a special blend of non-ionic surfactants for rapid and spot and streak free drying on all cleaned surfaces in soft to hard water conditions. • Specially formulated low foam product ensures efficient operation. • Suitable for use in a wide range of ware washing machines.